There is something magical about our nations National Parks. They invoke a time past, of unspoiled beauty and raw wilderness. With the brilliantly hued cliffs of Bryce Canyon will inspire you and the Grand Tetons will take your breath away. A train ride through the remote wilderness of the San Juan National Forest is full of gorgeous scenery to enjoy and the vistas of the Grand Canyon, which must be seen to truly appreciate it's vast beauty, will leave you in awe. 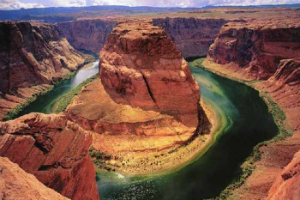 The United States has so much beauty to discover, you will enjoy every second of this special trip through the Canyons and National Parks of our great nation. This escorted tour includes motorcoach travel, luggage handling 13 breakfasts, 4 dinners and 13 nights accommodations.